DJI discontinues MOST of Phantom 3 line – as well as Phantom 4. In approx. order of USA sales rank. # given afterwards is rank in Camera and Photo (or approx. calculated rank). Our commentary is given below this list. Parrot finally seems to have a winner with their BeBop FPV package – this features a smaller R/C controller as well as a headset to mount a smartphone into. Experts, including ourselves, have been telling Parrot for YEARS to forget about the “app control” and use a real R/C remote. It seems as if they have finally listened and consumers are thanking them for it. While the Phantom 3 Standard is still the largest seller, the Mavic Pro and the Phantom 4 rank shows that consumers will spend more money (and even wait a month or two – in the case of the Mavic) for an advanced and feature-laden model. Autel remains on the list largely due to their price reduction – the X-Star Premium introduced last May at $1199 is now $699, allowing some consumers to choose it over similar priced Phantom models. Yuneec again lags the field – although the more expensive model H is selling better than their older Q model. Yuneec has also lowered their prices as much as $500 on the H (with RealSense) in order to stimulate sales. Although it is impossible to accurately calculate exact market share – indications are that DJI still holds a solid 75-80% of the consumer level (less than $1500) stabilized camera drone market. Their 2016/2017 unit sales are likely to be in the millions (1.5 to 2.5 million units) while many of the other makers are measuring in 10’s of thousands or – at most – 100K to 200K units a year. These numbers do not include toy models which are selling by the millions. Rankings can vary daily due to special sales and general ups and downs of pricing and demand. However, many of these models have been Best Sellers for many months indicating a high degree of consumer acceptance. 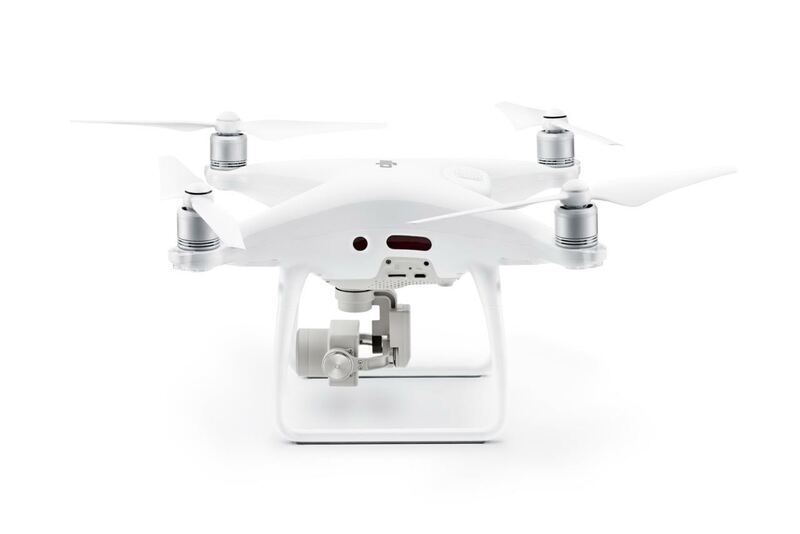 DJI Phantom – the Drone that Started it All. The press release was only two paragraphs. “You can fly your Phantom the moment you receive it,” DJI wrote on Jan. 7, 2013. With those words, it announced the release of the product that revolutionized the drone industry. Here is a link to one of the first complete reviews of the Phantom 1 – Feb, 2013. That year, DJI revenue soared to $130 million from about $4 million just two years prior. The market spoke, and the Phantom 1 propelled the company into its place as industry leader. Three three years and several iterations later, the Phantom series remains the most sought-after consumer drone and industry watchers suggest yearly sales of well over a billion dollars (DJI does not release sales numbers). But what is it about the Phantom that lures all sorts of pilots, from amateur hobbyists to Hollywood film studios? Several analysts, pilots and retailers describe DJI as a forward-looking company that’s constantly pushing the envelope. Not only is the Phantom series affordable, they say, but every version adds significant new features well ahead of the competition. Taking pictures and videos from a new perspective is the main function of the Phantom drone. It functions as a tripod in the sky with its own built-in high quality video and still camera. In this section we will describe both the hardware and the software which comprise the Phantom photography system. Following this chapter we provide a number of hints and tips which may help those new to Aerial Photography and Video produce better images. All models of the Phantom use a similar looking camera – but there are some internal differences. The Professional model can shoot up to 4K video. The usefulness of 4K for the casual user is questionable as mentioned earlier in this book. The Standard model has less processing horsepower and uses a different sensor than the Advanced and Pro. Video: up to 1080P 60fps (Pro model has 4K 30fps mode, Standard 1080P 30fps). There are many useful and decorative modifications you can make to your Phantom. A large aftermarket has sprung up online to satisfy the demand for various accessories. Note: We advise using only DJI brand OEM propellers for your Phantom. These are specially designed and DJI has developed very high standards for both the shape and the materials used. HDMI out module (sold by DJI for the Pro and Advanced) allows the video output of the Phantom to be shown on large screens (monitors, TV, etc.) and also on certain headset goggles. Some Phantom add-ons are 3D printed and available from the popular site Shapeways. Be sure to consider the added weight when adding accessories to your Phantom. A digital postal scale is part of the quadcopter pilot’s toolbox. hen it has low battery or lost connection between your Phantom and the Remote. 1. Take some time to fully understand the failsafe and RTH functions. Read the manual section and try some of the RTH modes in a large open field. 2. ALWAYS start up your Phantom in an open area and not underneath or near trees or buildings. This will assure a safe return to home (RTH) if the mode is triggered. 3. Don’t take your Phantom to the limit – use LOS (line of sight) flying and your own piloting skills to bring your craft home with some juice left in the battery whenever possible. There are various types of failsafes – out of range and low battery as well as user-initiated (smart). 2. Low Battery failsafes – this works differently and depends on user adjusted settings in the Aircraft Battery Screen of the DJI Go App settings. There are two settings – Low Battery Warning and Critical Battery Warning. At the low battery warning the DJI Go App will give you a warning and the option to cancel out the RTH – but if you do not cancel it, it will initiate. At the Critical battery warning level the Phantom will not RTH – but just descend and land immediately. With either you can still control the Phantom to a degree with the sticks in order to avoid obstacles. 3. 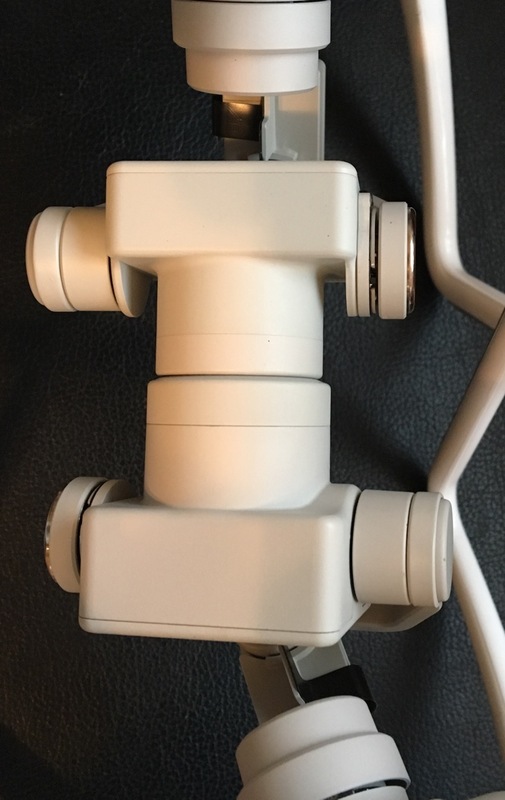 Pressing the RTH button ( a switch on P3 Standard Model) on the Remote and in the DJI Go App will always initiate RTH – hitting it again should turn RTH off again. If you are an experienced pilot and flying mostly over open land and close-in, you can probably set the low battery at 20% and critical at 10%.